What are you too far behind on to even bother with? I love the new honor system in World of Warcraft. Classes feel like they’re on pretty even playing fields — at least in instanced PVP — and unlocking talents is rewarding and makes for a genuinely unique experience. Heck, I’d kill to have some of those talents in PVE! But, man, the Honor grind is a real big hill to climb at this point. Even doing the three PVP Tower World Quests, the four unique free-for-all PVP World Quests, and winning one battleground each day, a full season’s worth of Honor will take almost two months. Granted, nothing is stopping you from grinding battlegrounds day in and day out, but for the more casual-minded folk out there, it’ll take a while. I’d kill to have those Courser mounts in my collection, but it all just feels too daunting at this point, to be honest. We’re now five Seasons in and more than 20 PVP ranks deep — even being close to done with the first season, it would still take me until the summer to catch up. At one point, I thought I might catch up, but Seasons came out faster than I could grind Honor. Now, I’ve resigned to the fact that I’m just not going to complete this grind during Legion. Sure, I’m still going to PVP when I’m in the mood for it, but I’m not going to make the PVP grind a focus anymore. I’m just too far behind, and setting it as a goal just feels demoralizing. Maybe one day, I’ll slowly accumulate enough Honor for the rewards, but that day is not anytime in the near future. 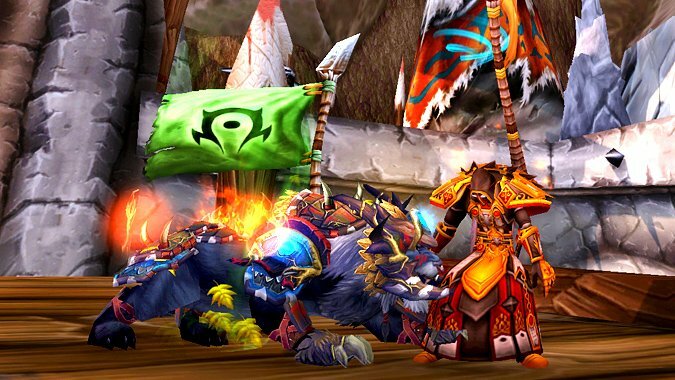 What is the Legion PVP of your life? Are there folks out there who, like me, couldn’t stand the grindiness of the Mists archaeology achievements? Or maybe it’s something from another game. Maybe you’d once intended to climb the Heroes ranked ladder but now feel too far removed from the meta. Share your struggles below!